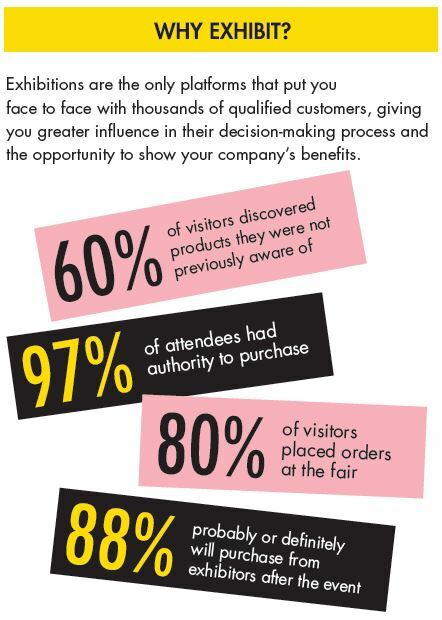 Exhibitions are the only platforms that put you face to face with thousands of qualified customers, giving you greater influence in their decision making process and the opportunity to show your company’s benefits. A dedicated team covering sales, marketing, PR, customer service, design and logistics, works hard to make exhibiting easy for you, and to bring the largest possible qualified visitor audience to our events. Our events can accommodate many different needs and budgets… all you have to do is ask!To make exhibiting easy for you we have a modular package, basic stand pack or space only packages. Extra services you might need (such as power, extra lighting, furniture, etc) can be ordered through our Exhibitor Services Kit. There are a number of opportunities for you to gain additional exposure at the International Jewellery Fair through workshops, presentations or PR. Take advantage – it’s easy! Click here to visit our exhibitionguru site.